There are few things as alluring as a fresh, juicy burger right off the grill. Unfortunately, some of us feel a pang of guilt as our eye draws towards the burger on our plate, as we fret over the unhealthy reputation of this American lunch and dinner classic. It doesn’t have to be that way! Yeah, there are indeed opulent, over-the-top burgers out there that your doctor would go wide-eyed hearing the details on. But it’s not only possible but easy to make healthier burgers that taste incredible. All you need are a few new ingredients, techniques and ideas in your cooking tool belt, and you’ll completely change your perspective on the possibilities of balancing great flavor with healthy eating. Here are 7 healthy ways to cook your burger, from choosing the right meat to cooking it in healthier ways, and finally picking exciting condiments that expand your flavor horizons. Planning your burger starts with the beef. And the first thing to consider before balancing out the bun and condiments is to make sure you find a balanced amount of beef to include. As a rule of thumb, go with 4 oz. of ground beef. You’ll generally lose about a full ounce during the cooking process, leaving you with a juicy 3 oz. patty. It’s not too big, not too small, clocking in at just the perfect amount to stand up to a few condiments. Go With a Smaller Bun — or No Bun At All! With your beef portion planned out, you now have a guide for the bun. With a 3 oz. fully cooked patty in mind, select a smaller bun, preferably with whole grains. To get the right flavor balance going, remember to lightly toast your buns just before placing the burger and condiments on top. This may seem like a small detail but remember: you’re looking for every taste and texture boost you can get, so instead of looking to a giant patty to carry the whole dish for you, you’re taking the thoughtful approach for every ingredient you use. Alternatively, if you prefer to lower your carbohydrate and/or grain intake, you can swap out the bun for a large, thick piece of lettuce that can stand up to your freshly cooked burger with all the fixings. You could also feel free to skip the bun entirely. You may be surprised to learn that you can find this option at some of your favorite, popular fast-casual eateries such as Five Guys and In N Out. They have protein style burgers that are considered healthier because they do not contain bread. The smart approach to choosing the most fitting style of ground beef is to prioritize one or more of the aspects above. A great example is going with grass-fed beef, which is low in fat and perfect for holding up to interesting condiment choices. Or, if you want the meat itself to be the main show — especially if you’re going with a lettuce wrap or bun-free burger — the incredibly robust beef flavor from this all-natural selection is perfect. You may be surprised to learn that you can find these healthier options at some of your favorite, popular fast-casual eateries such as Five Guys and In N Out. They have protein style burgers that are considered healthier because they do not contain bread. Mix and match these additions based on your favorite flavor profiles. This may be the easiest — and most surprising — aspect of cooking healthy beef burgers. The very best method for cooking healthy beef happens to be one of the most universal favorites among all burger fans: outdoor grilling! Getting your grill up to medium heat and cooking until the center temperature hits 160 degrees Fahrenheit is the safest, healthiest cooking method there is. Use a spatula to flip your burgers so you don’t pierce them and let the delicious juices inside spill out. Avoid squishing the meat with your spatula; as fun, as it is, that’s another way to quickly lose the texture and flavor balance of those incredible natural beef juices inside. You’re looking to get a slightly crispy crust across both flat sides of the burger without burning it. This is key because, again, you’re looking for all flavor enhancement opportunities you can find, and the chemical reaction that a light sear triggers leads to a marriage between the heat and your high-quality choice of beef. This is where the biggest flavors are found! If you can’t grill your burger, a flat grill is the next best choice. You want the fat that naturally emerges from the burger to run off, so you can get that crispy texture rather than boiling or steaming the burger in the natural liquids. Use Condiments With Low Sugar — But Big Flavor! You’re going to want to set up a small station with all of your favorite condiments before cooking. Burgers are best enjoyed hot off the grill, so this is absolutely one of the most important steps in this entire process! You’re looking for ingredients that pack a big flavor punch while avoiding the deleterious aspects of some of the more standard condiments. That means avoiding ketchup, which is packed with corn syrup or sugar in most cases. But don’t worry! 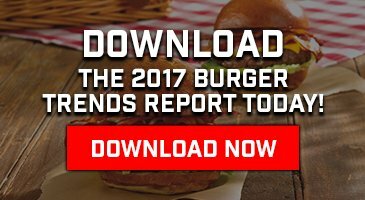 Here are some incredible choices that many burger aficionados actually prefer to ketchup, whether they’re angling for healthier meals or simply looking for the most enjoyable flavors possible! Interested in learning more about choosing the perfect beef for a health-conscious burger that doesn’t sacrifice one iota of flavor? Don’t hesitate to contact us at Schweid & Sons. We’ll be happy to help you out!